We are not going to spend too long delving into the details of recently-released direct to video horror Way of the Wicked - mostly because it doesn't really deserve too much of anyone's time. Directed by Kevin Carraway (the man behind Luke Goss horror 7 Below), Way of the Wicked follows a mysterious new student arriving at a typical High School in a small American town. 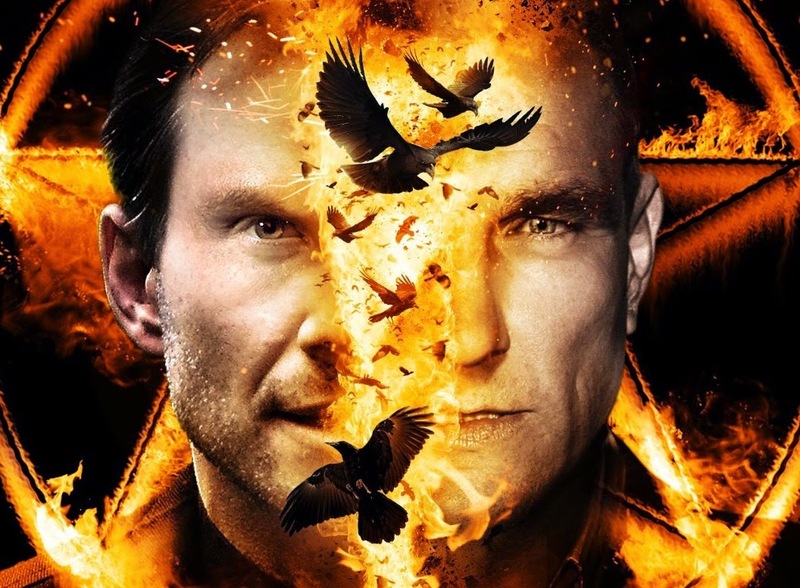 When this student because linked with several grisly deaths at the school a local cop (Vinnie Jones) and town priest (Christian Slater) begin to discover demonic forces are at work. The mere presence of Slater and Jones is enough to ensure that Way of the Wicked finds some sort of audience - however, fans of their lower-budgeted releases will know that their faces on posters and DVD covers does not mean that they feature a whole lot. Harraway's film is a prime example of this, with these genre favourites playing second-fiddle to generic high school dramatics with the odd bit of supernatural violence thrown in. You know the acting is bad when the most impressive dramatic moment comes from Vinnie Jones delivering lines like "So youhr tellin' mee this kihd is like the ohmenn or summit?" - but the young cast of Way of the Wicked is pretty woeful with their stilted delivery and lack of emotional conviction. Part of this stale presentation comes from a painfully generic screenplay from Matthew Robert Kelly which lacks much of the darker, more horror-focused elements genre fans would want to see. Instead what we are left with is a drab high school melodrama with slight moments of interest coming in the form of Slater and Jones's underused appearances. Sequences which see Slater's priest attempting to trace this demonic path of destruction and his subsequent team-up with Jones's tough cop are steps in the right direction - but the fact these always feature second to stilted drama sadly present a case of too little too late. Way of the Wicked may bring slight joy to more easily pleased genre fans - but with a lack of real horror and vast amounts of wasted potential, this is one to skip.